Litigation is often expensive, time consuming and emotionally draining for all those who are involved. The time it takes to prepare for a defense, meet with a lawyer, and participating in proceedings is a huge process in itself. When an attorney is sued for malpractice, the scrutiny normally involved in a case is even more intense. It can be extremely difficult to handle the attention given to all the aspects of your professional life in addition to everything else. Unfortunately, occurrences of legal malpractice suits has increased significantly in recent decades making it more important than ever to take extra precautions when dealing with clients. This short guide can give you some ideas to follow for avoiding attorney malpractice suits altogether. It seems simple and obvious, but you’d be surprised how many attorneys end up neglecting this important area. The majority of malpractice suits could have easily been prevented with just a simple correction in communication between attorney and client. Better communication can also benefit overall client satisfaction as well. Take the time to really listen to and address your clients’ concerns. Be sure to ask questions about their expectations – you’ll find by doing this the answers you get will surprise you. Keep clients updated and in the loop about events, changes, and developments to their case. You can do this by providing copies of relevant documentation and by taking advantage of email. This not only keeps them informed and feeling that you’re working hard on their case, it also speeds up the process of billing. When a client sees you are working consistently on their case, they will not hesitate to pay you in a timely matter. Answer inquiries promptly. Many malpractice suits could have been prevented simply by the attorney returning calls or emails in a timely fashion. If you’re available to return a call or message within 24 hours, have a secretary or assistant ready to do it for you. Issues discussed with clients, opposing counsel, and anyone else involved in the case should be documented. This means keeping notes on file, making copies, and confirming letters. In the event that you’re sued for not providing proper advisement, you will have all the documentation needed to counteract such a claim. Dual representation occurs when a single attorney ends up representing more than one party in a matter where they may have a conflict of interest. This happens when an attorney represents a corporation, partners, shareholders, an employer and employee, a broker and an agent, or multiple parties who signed a contract. The best thing to do is avoid these situations. If you must represent multiple parties, it’s a good idea to prepare a notification of potential conflict and have them each sign a waiver. Continue to be cautious however. If an attorney advises one party member to the detriment of another, it can be cause for a malpractice suit. Surprisingly, failure to file an action within the correct statute of limitations is the second most common cause of malpractice suits. As soon as a client begins discussing a claim with you, find out what the statute of limitations for their specific case is. Once you accept the case, keep the dates of the statute in mind and marked on your calendar. This mistake is often made by attorneys handling a case that falls outside their range of expertise. Consult another attorney who does specialize in the area or else pass on the case altogether. Medical malpractice describes the act of any doctor treating a patient negligently or in any other way wherein the care that a patient receives does not meet medical standards. 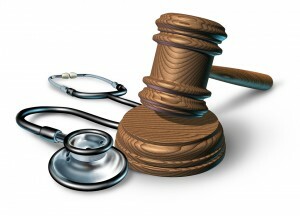 Medical malpractice is very serious and can result in a patient sustaining life long injuries and even death. 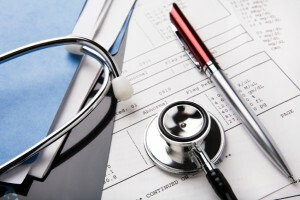 There are several types of medical malpractice. An incorrect diagnosis occurs when a doctor fails to correctly identify a condition or disease due to negligence or lack of a thorough examination. Misdiagnosis can happen in any medical setting, but it is particularly common in emergency medicine, where physicians may not give the proper amount of time to patients they are put to the charge of examining. Failure to correctly diagnose a patient is very dangerous, particularly in instances of conditions such as heart attacks which can be fatal if they are not properly recognized and immediately diagnosed. A patient may receive an incorrect diagnoses both in their initial contact with a doctor and in any subsequent follow up appointments. Doctors are required to keep patients in their care as long as they must be monitored and treated. If a patient is discharged too early, a doctor may be guilty of failing to adequately treat them. Even if a patient is not prematurely discharged, their physician may have behaved negligently if they are not seen for adequate follow ups and check ups after a procedure or initial visit. Failure to treat also refers to instances where a physician should refer a patient to a specialist for a condition but does not. In any surgical settings, a number of elements may be uncertain. Patients all respond differently to anesthesia and even very experienced surgeons cannot generally guarantee that their patient will react a certain way to surgery. Surgical error does not necessarily refer to a patient responding aversely to surgery. Rather, it describes a scenario wherein a surgeon or anesthesiologist makes an error. These errors may include incorrect incisions, inadvertent damage to either the organ operated on or any other organ, or incorrect dosage of anesthesia. Doctors must make sure that they prescribe appropriate drugs to the best of their ability. This means that they must make a diligent effort to be aware of any allergies their patients may have to drugs and be mindful of any interactions that may occur between multiple drugs that are being prescribed to a patient. They must check all available records and be aware of any other prescriptions that a patient has received from other doctors or specialists. Pharmacists must be similarly aware of documented patient allergies and possible interactions. Pharmacists must also fill prescriptions exactly as they are ordered by a doctor. Failure to do so is considered medical malpractice. 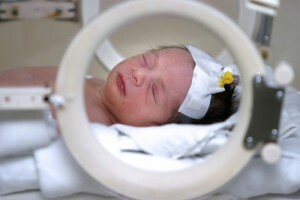 Negligence during prenatal care or delivery itself can result in lifelong injuries or death for both the child being delivered and the mother. Instances of malpractice can include any time when a doctor fails to properly assess and prepare for a very large child or failure to decide that a cesarean delivery is necessary. Malpractice during prenatal care includes negligence during examination leading to a failure to diagnose severe issues with the child. If you believe that you have been a victim of medical malpractice, you should contact an LA medical malpractice attorney immediately. There is a statute of limitations on medical malpractice cases, meaning that after a certain amount of time you will not be able to seek damages for medical malpractice cases. We at Martin Stanley Law are always available to answer any questions you may have about medical malpractice. Bad faith is a term that describes any instance wherein an insurance company fails to pay out on a policy that they have sold to a customer. Unfortunately, instances of bad faith are common among all different types of insurance are fairly common. Insurance companies may find ways to confuse their customer or intentionally make the criteria for receiving funds difficult and time consuming. Insurance companies may take advantage of a sick or injured person by relying on their inability to adequately file a claim. A Santa Monica insurance disability lawyer can help protect you from bad faith and ensure that all funds due to you are awarded. Whether you are filing a claim through the Social Security Administration or through an insurance company, there will likely be a number of tedious documents and other “hoops” for you to jump through. This is particularly trying if you are dealing in tandem with the time consuming and often frustrating process of navigating through hospital stays and medical billing departments. An attorney is very familiar with the paperwork that must be filed in order to move a claim forward and can relieve you of the burden of wading through documents on your own. Knowledge is always power, especially when dealing with a large agency such as an insurance company. 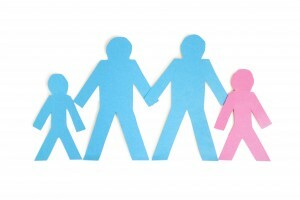 When you are faced with legal documents or letters that contain terminology or phrases that you do not understand, having a resource available to clarify things for you can arm you with the information you need to make the best decisions for yourself and your family and can help protect you from being exploited. In the event that you have a disagreement with your insurance company, your insurance company will likely enlist the help of the attorney they have retained for their benefit. It can be very intimidating for one individual to engage in discourse with a powerful attorney and without the support of an attorney of your own, you may feel pressured to make decisions that you do not feel comfortable with. 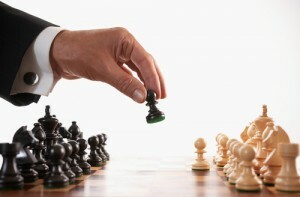 A Santa Monica insurance disability lawyer can go head to head with another attorney to engage in equitable discourse. When you are injured to such a degree that you are out of work, your first priority is, off course, returning to health. Whether you have sustained a physical injury and are undergoing physical therapy or have been the victim of a brain injury, you are likely visiting the doctor often and resting as much as you can so that you can eventually return to work. The stress, anxiety, and time commitment associated with receiving disability payments on your own can be very tiring and may even delay your recovery. An attorney helps you focus on yourself and your health. One way that many insurance companies avoid paying out on policies is by setting deadlines that they hope will not be met by policyholders. An attorney makes sure that all deadlines and other requirements are fully met on your behalf. As more and more civil cases seem to be settled out of court, some people have begun to wonder whether trial attorneys are as integral a part of the legal system as they once were. While it may be true that some high profile cases are in fact brought to a settlement before they go to trial, trial attorneys are as relevant today as ever. Here is why. Trial attorneys are a necessary force in the battle to maintain justice for all. The unfortunate reality is that there will always be certain people or entities who abuse their power or create unfair or otherwise harmful situations for others. Trial attorneys bring these abusive individuals to justice and seek compensation for individuals who have been negatively impacted by unfair practices. When a company or individual faces the possibility of a lawsuit, they often attempt to settle the matter out of court as a means of avoiding negative publicity or allowing the issue they are being sued for to become a public matter. There are some instances, however, that must be brought to public attention in order to effect real and lasting change. The phrase “tort reform” has gained popularity over the last several years. Ostensibly, it seems to describe a shift away from frivolous lawsuits, but the fact is that a consumer’s right to suit when they have been wronged is a protection granted to them so that they may have some recourse even when facing a larger and more profitable entity, such as a corporation. Trial lawyers assist individuals in the event that they have been wronged and ensure that they are not bullied out of seeking justice. In some instances, a judge or jury may rule against a plaintiff even when the plaintiff has been legitimately wronged. This does not mean that an individual seeking justice will not find it. In many instances, cases are appealed and brought to higher and higher courts because a plaintiff has retained an attorney who will continue to help them fight for what is right. The United States legal system was brilliantly constructed in a way that allows for laws and legal standards to advance along with changes in technology and other strides made my mankind. As technology continues to grow at an exponential pace, an entirely new batch of legal questions are being posed, and trial lawyers help pave the way for cases that will set new standards and rulings on what is just. One thing that helps make American law unique and effective is the institution of a jury trial. Jury trials help fight corruption and bureaucracy and maintain a sense of equity even in situations where one party in a trial has far greater financial means than the other. Without trial attorneys, jury trials would not be possible. The civil justice system is open to anyone, regardless of age, gender, race, sexual orientation, or financial status. When a person has been victimized or otherwise wronged, they may not be able to properly seek recourse on their own, particularly if they have been wronged by a person in power. Trial attorneys help empower those who have endured unfair treatment and may not have other means of bringing their story to light. There are many factors to consider before choosing a Santa Monica personal injury attorney. Factors of cost, experience and competence are the most pressing, When you meet with a personal injury attorney for the first time, be prepared to present all relevant documents like official police report and any correspondence with your insurance company. What is your experience as a trial attorney? Do you anticipate my case going to trial? How many personal injury claims have you successfully settled? Would you be the sole attorney assigned to my case, or do you have an associate with whom you would share the case? Are there any additional fees or potential expenses I should be made aware of? Will you accept my case on a contingency fee basis? 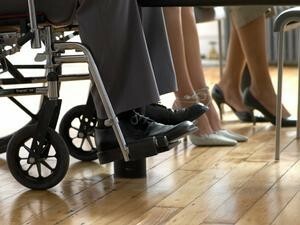 Do you typically represent the injured persons or the insurance company in a personal injury case? If I want to avoid going to trial by accepting a lower-settlement that what you think can be recovered, will my decision stand to do so? Martin Stanley Law covers all areas of personal injury as well as products liability, insurance bad faith, complex business disputes and wrongful death. With over 15 years of experience, contact Martin Stanley with your questions and have him show you why he’s the attorney to choose for personal injury. What Can A Los Angeles Birth Injury Lawyer Do? If you have lost a child at the hands of an OBGYN who committed medical malpractice, it may seem as though there is nothing that will compensate you for your loss. Anyone who has been made to suffer in this way knows the pain this causes will last forever. A Los Angeles birth injury lawyer can help determine whether medical malpractice is a factor in this circumstance, and he can help determine what your damages are. When you have spent your whole life trying to have a child, gone through months of labor and consulted with numerous doctors, there is no amount of money that can adequately compensate you for your time and suffering. The process of carrying a baby to term is laborious and in many cases expensive. If you undergo any complications this can be even more expensive. A medical malpractice attorney can determine what damages you can expect if you bring a case to trial. If you feel that you have suffered at the hands of a doctor you want to get in touch with a birth injury attorney right away. Whatever time you waste before you consult an attorney will possibly hurt your chances to file a successful lawsuit down the road. You may be suffering right now, but that is no reason not to take positive action to get money that will help you and your spouse start to make plans for your future. A wide variety of situations can lead to a medical malpractice claim, from a doctor leaving a sponge in a patient’s stomach during an operation, failing to tell a patient that a prescribed drug might cause heart failure or not taking the proper precautions in the delivery room that leads to the injury or death of a baby or its mother. A birth injury attorney or medical malpractice lawyer is trained to recognize when a doctor hasn’t preformed their due diligence and this has led to the damage of an individual. Failure to properly diagnose the symptoms. If a competent doctor would have discovered the patient’s illness or made a different diagnosis, which in turn would have led to a better outcome than the one actually achieved, then the patient may have a viable medical malpractice claim. Improper treatment. If a doctor treats the patient in a way that no other competent doctor would, the patient could have a medical malpractice claim. In a similar vein, it may also be malpractice if the doctor selects the appropriate treatment but improperly administers it. Failing to warn a patient of known risks. Doctors have a duty to warn patients of all the risks of a procedure or course of treatment, this is known as the duty of informed consent. If a patient, once properly informed of possible risks, would have elected not to go through with the procedure, the doctor may be liable for medical malpractice if the patient is injured by the procedure. An experienced Los Angeles medical malpractice lawyer is there to listen to your facts, determine if you have a case and give you advice on how to proceed to go to trial. If you or a loved one has been injured by the incompetence or negligence of a physician, nurse or medical institution, you deserve to get paid for your damages. If you have lost work or your capacity to work is in any way diminished because of these damages, you can file a claim to get help you and your family. Your Los Angeles medical malpractice lawyer is there to guide you every step of the way and to ensure you get the help you need. Birth trauma cases are at their core personal injury cases involving medical malpractice. They will proceed through the court in the same way as any other type of personal injury cases. They are handled by a Los Angeles birth injury attorney, with a possible offer to negotiate a settlement with the other party. If the parties can’t agree to negotiate at this stage, the plaintiff’s attorney can begin preparing the case for trial, with the knowledge that a settlement will likely occur before the trial is set to begin. Nearly 90% of all cases settle before going to trial, this is just a fact of the legal world. A birth malpractice attorney can help you by evaluating the facts of your case and letting you know if there appears to be evidence to support a successful lawsuit. Such an attorney has experience with numerous cases like these in the past and knows what is going to happen ahead of time. After the trial concludes the jury will pass a judgment, the judge will announce their verdict. In some cases, the losing party may choose to file an appeal. In others, the prevailing or winning party may need to take extra steps through the courts to enforce the judgment if the losing party refuses to pay the judgment. Keep in mind that your Los Angeles birth injury attorney has experience with these matters and will be ready to answer your questions as the case progresses. Martin Stanley Law has experienced Los Angeles Birth Injury Attorneys who have experience with cases with injury due to birthing. There is nothing that compares to the pain and heartbreak of a birth injury. You have spent so much time in anticipation of this wonderful day only to have it come with tragedy. A birth injury lawyer can get you the money you need to pay for your medical bills and for the long term care you will need for your child. There is a perception that doctors are wonderful, altruistic human beings who serve mankind and therefore they should be held above repute. The fact is that they are human and they make mistakes. If a doctor’s mistake leads to the suffering of your family you have the right to receive recompense in order to defray your pain. That’s the law. After you have suffered a loss at the hands of a doctor you may feel as though there is nobody you can turn to for help. A malpractice attorney is there for you to meet your needs and get you the money you need to pay your bills. While there is a lot of talk about healthcare reform, the reality is that the only way to get assistance after a medical mishap is through the help of an experienced malpractice attorney. If you think your family has suffered from the malpractice of a doctor the right time to call Los Angeles medical malpractice lawyers is now. The longer you wait the better the chances that the doctor will be able to put together a defense. Doctors get paid a lot and they spend a lot for insurance, you can bet that if you go to trial your doctor will have the best legal representation available. Not quite. You can hire an experienced medical malpractice lawyer and make sure that your rights are protected. You see it happen a lot a person is in a country where they do not speak the language well and they are pulled in on a crime. Even people that do speak the language well and who are natives of that country tend to get talking with a detective and not ask for a lawyer. This is how people who do not as for an abogado end up incrimination themselves. Once you put something in writing or make statements or answer certain questions to a detective it’s hard for a lawyer to argue on your behalf. Always ask to speak with a lawyer first. It’s always best no matter where you are in your malpractice suit to let your LA medical malpractice Lawyer handle things. The company will usually try and get you to settle and a lot of times they’ll try to do it behind your attorney’s back by convincing you that your attorney doesn’t know what’s best for you and isn’t being upfront with you. They’ll say things like you can never win t his case and this is the best offer you are going to get. Their hope is that you’ll fall for it and take the settlement and it’s usually because they know in court that you are going to get a lot more. You don’t have to worry during a malpractice lawyer medical lawsuit that your attorney isn’t going to be prepped and ready to go. An attorney that works in malpractice will have his team of experts to debunk the defenses or prosecutions experts. You might be sitting there sweating as the opposite side brings in its handful of experts to say that you don’t have a case and here is why. Keep in mind your lawyer will not only cross examine them and get them to trip over their words or debunk themselves but he’ll also call his own experts to cancel out what the opposing sides experts just said.